This is our 10 day carpentry and joinery course and you will undertake 5 assessments to achieve a FULL qualification (NOCN Cskills Level 1 Certificate in Carpentry and Joinery). NOCN Cskills (Construction Skills) (formally CITB) are the awarding body for construction NVQ’s so the Cskills brand and logos are well known within the construction industry. The full qualification you will complete over the 10 days will be NOCN Cskills Level 1 Certificate in Carpentry and Joinery and this will show potential employers or customers your competence in your chosen trade. 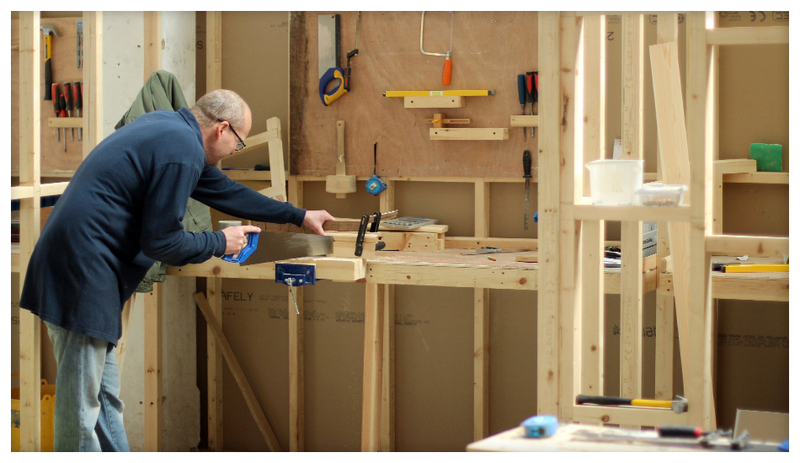 This 10 day Cskills level 1 Certificate in carpentry and joinery course is ideal if you are wanting to start a career in carpentry and eventually move on to gain your Cskills NVQ level 2 in Site Carpentry. No previous experience in carpentry & joinery is necessary. The carpentry and joinery course will start off with learning how to use the basic hand tools involved with trade from using different saws for different woods plus sharpening and using chisels correctly. You will perfect your marking, cutting and chiseling skills by making a series of common woodwork joints each joint being that little bit more difficult than the last. 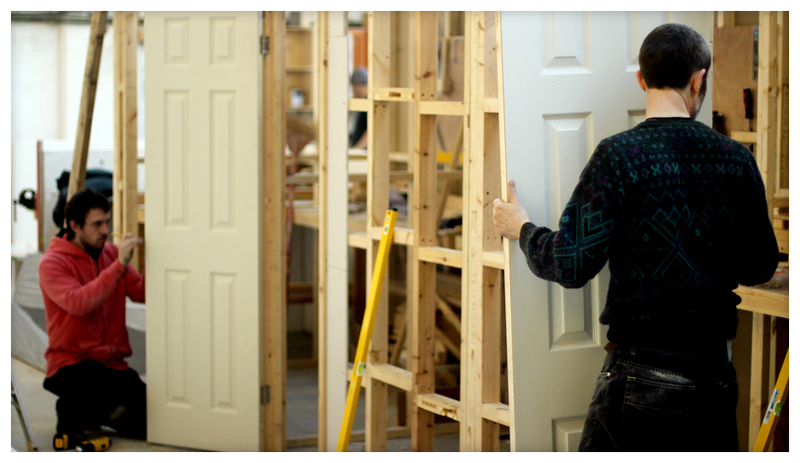 These skills will come in for later during the course when you will be required to chop in hinges using a chisel into a door and door frame plus build a door frame with a half lap joint. You will soon move onto building a stud partition with doorway as an entrance to your own training bay. The stud partition will be built from scratch including the door frame. You will spend some time practicing on fitting door latches and locks before completing the task on your real door. Architrave and skirting will be needed next so we work a jig that consists of a series of awkward angles so you can learn how to mite a skirting board on internal and external angles as well as straight angle cuts. A £200 deposit is required to book the course, the balance of £1000 is then due on the first day of training. 10 day Carpentry course with NOCN Cskills level 1 certificate in carpentry and joinery £1200 inc vat. Unit 12a Factory Street, Dudley Hill, Bradford, BD4 9NW, West Yorkshire. Courses are held every week Monday to Friday.